The trip was led by renowned ophthalmologist Dr. Donna Brown from the Virginia Eye Institute and plastic surgeon Dr. Nadia Blanchet. Team members included Sarah Thacker, OR nurse from Dr. Blanchet’s private practice; Doctors Rob Brown and Kent Rollins, urologists from Virginia Urology; Dr. James Stone, an anesthesiologist from Johnston-Willis Hospital; Lisa Sizemore, OR nurse and Mary O’Hanley, CRNA, both from the Virginia Eye Institute; and Karen Brown, a fourth year medical student. All came to provide acute, necessary care to Vincentians, going as far as transporting some cases back to the US for treatment. Dr. Brown led her team through a series of cases, with Trinity students there each step of the way, as a teaching opportunity. During the several hours expended on clinic day, a total of sixty-one patients were seen. Dr. Brown explained her experience with the project. “Initially, we did eye muscle surgeries on children who had strabismus [ed. crossed eyes or drifting eyes]. This is not a cosmetic procedure: in children, an eye that crosses can lag behind in vision development, which can lead to people with a fully functional eye that can’t see; the brain hasn’t learned to use it.” She continued, "This is a small but critical vision saving or improving procedure.” She also noted that, "The complication rate of this procedure is very low." She continued on through the case load, “Now we're also providing intra-ocular surgeries. 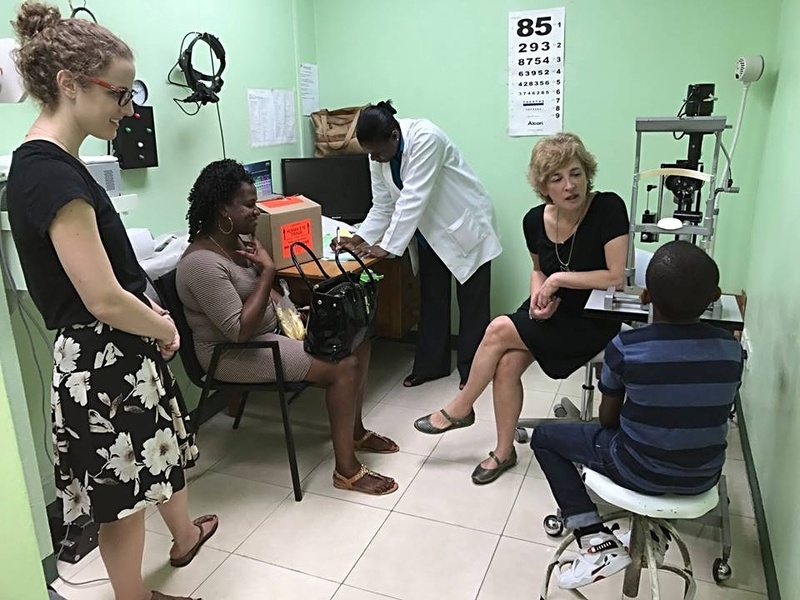 That means cataract surgeries in children and corneal transplants.” Dr. Brown said that she is now able to tackle these with the new state of the art equipment installed at the Milton Cato Memorial Hospital and through collaborations with local ophthalmologists. Trinity students took part in four hours of consultations with the team and were clearly affected by the experience. Fifth term student Sarah Davis commented, “There are so many advanced or complex cases that we read about and have not seen yet (in our studies), so this opportunity was tremendous. Today was exhilarating, informative, and exhausting all at once. Because WPP comes back so frequently and does follow-ups, we also got to see a lot of progression with past patients, examples of procedures being done today that have healed. 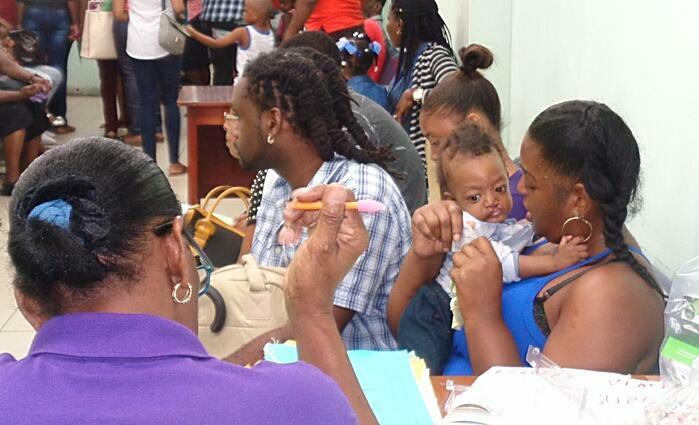 It's so valuable to connect it all.” Of the sixty-one cases seen on clinic day, twenty-one were scheduled for surgeries at the hospital in Kingstown, while five more complex cases were referred for surgeries in the United States. 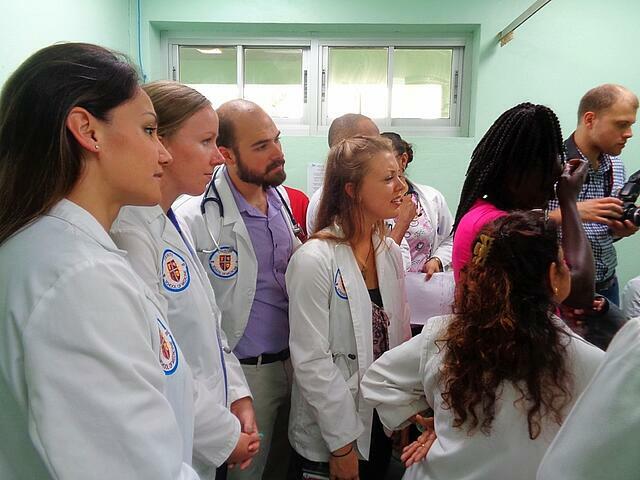 Trinity School of Medicine and the World Pediatric Project have a longstanding relationship that both groups value. Click here to read more about past missions.